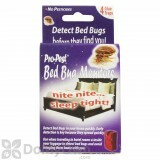 Pro Pest Bed Bug Monitor Trap is a discreet, yet very effective tool to detect and help get rid of bed bugs. It contains a unique bed bug attractant that’s made from aggregation semiochemicals which imitates the human skin’s scent, an odor that’s irresistible to bed bugs. Instead of pesticides, this crush-proof monitor uses a special glue formulation that’s heat stable. It is simple to use, just place monitors between the cushion and bed frame at all four corners, or next to the bed along baseboards and check daily. Dispose it as soon as bed bugs are caught and call a pest control company for treatment. Replace with new monitors after treatment. These monitors can last up to 6 months of monitoring. One pack comes with 4 monitors. Hotels, motels, apartments, cruise ships. Use in luggage when traveling, dorm rooms, furniture, under cushions. 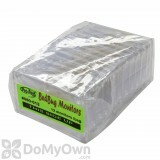 Place 4 monitors on each bed between the mattress and box spring. One monitor goes on each corner of the box spring. Monitors can be checked daily when beds are made or anytime sheets are changed. 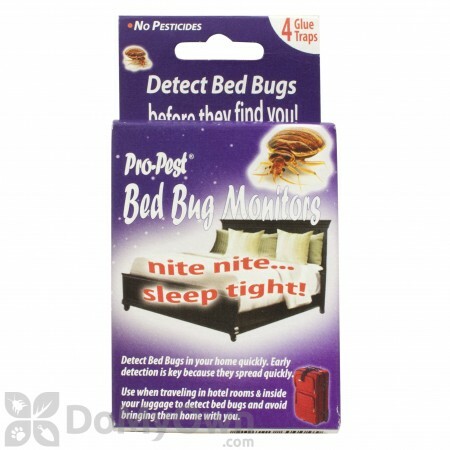 When a monitor has bed bugs, discard it immediately. Notify a pest control company of your choice. After the treatment, replace all monitors to continue monitoring. Provides up to 6 months of monitoring before replacement is required. ease of use is good, but get yourself a roll of double sided tape to help hold them in place, first time I have gotten them and just placed them so still waiting for results to see how effective they are.